Kamari (Greek: Καμάρι) is a coastal village on the southeastern part of the Aegean island of Santorini, Greece, in the Cyclades prefecture with a population of approx. 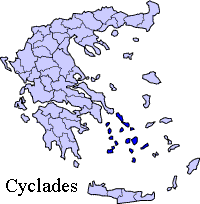 1800 according to the 2001 census. 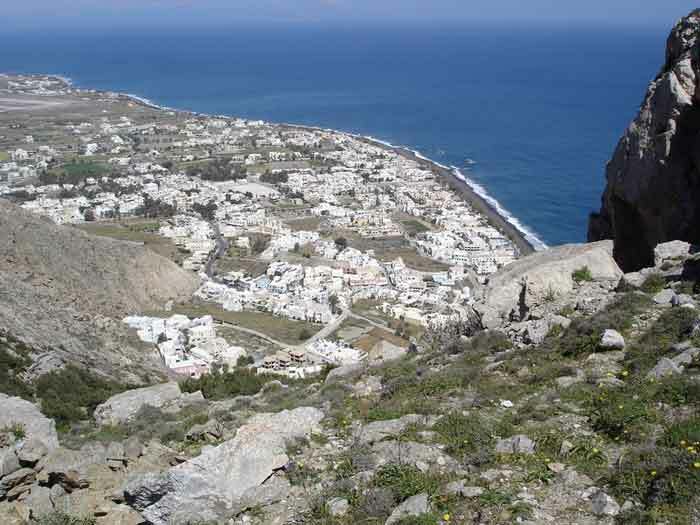 It is part of the Municipality of Thira and is situated approximately 8 km away from the island's capital Fira. Kamari was built by residents of the nearby village of Episkopi Gonias (Greek: Επισκοπή Γωνιάς, also Μέσα Γωνιά), which was almost flattened by a devastating earthquake that hit Santorini in July 1956. In 2002, an archaic sanctuary dedicated to Achilles was discovered in Kamari. Festivals: 24 September at the church Panagia tis Myridiotissas.